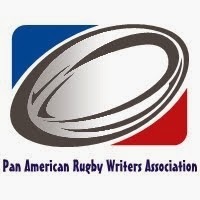 With the confirmation that Rugby World Cup - Argentina 2023 is being made into a book the campaign is reaching out to more social media in an effort to reach more people and, hopefully, see more people become aware of the effort to bring the Rugby World Cup to Argentina in 2023. The largest social network is facebook and Argentina 2023 has a page. Anybody who uses facebook can follow the promotion of the book by clicking on the like button. Simply enter here to and follow the campaign on facebook. It would great to have Rugby World Cup Finals 2023 in Argentina. Its time for South American Rugby to come of age. Although the River Plate Stadium needs to be rebuild and have a capacity crowd of 90000 seats.